Ruin Me is a full length (55,000 words) steamy standalone romance with dark story elements, no cheating, no cliffhanger, and a happy ever after ending. 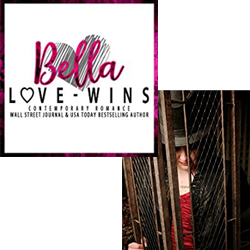 Like so many characters in her novels, she enjoys action, romance and unexpected love connections that take your breath away. For the next while, you'll find her plotting and writing about my latest stories on my Macbook.